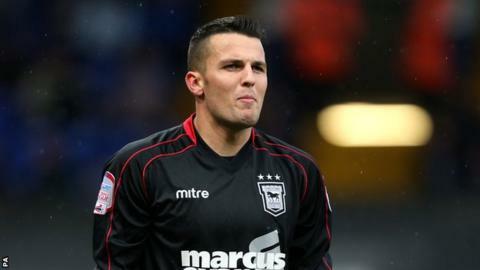 Ipswich have re-signed West Ham keeper Stephen Henderson on loan until the end of the season, and extended the deal of captain Carlos Edwards. The 24-year-old appeared 15 times for the Tractor Boys in a loan spell earlier this campaign. And captain Edwards has triggered a 12-month extension on his contract to keep him at Portman Road until 2014. Edwards needed 30 appearances this season to trigger this, and Saturday's loss to Bristol City was his 31st. Edwards joined Town from Sunderland in 2009 and has played 158 games. The Trinidad & Tobago international has missed just two matches all season for Mick McCarthy's side. Ipswich have also moved to dismiss reports suggesting striker Aaron McLean is set to be recalled by parent club Hull City. The 29-year-old is on loan at the Suffolk side until the end of the season.